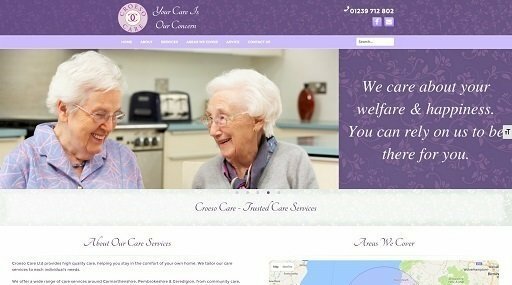 Croeso Care provides high quality home care services in Ceredigion, Pembrokeshire and Carmarthenshire. The client wanted the website to be simple to use, but still look up-to-date with a contemporary design. 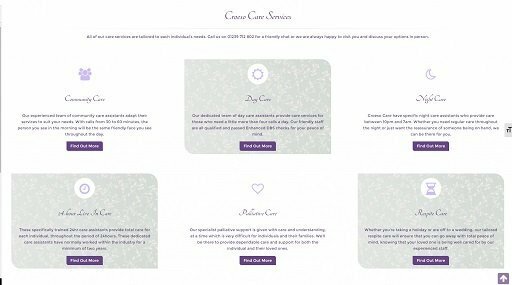 The website follows their purple/lilac colour scheme. There is the potential for new areas to be added as the company continues to grow. 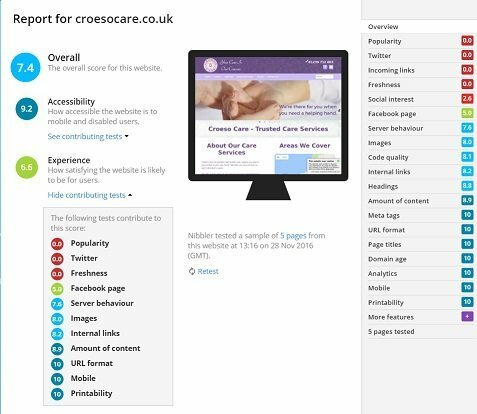 We were touched by the genuine care of the company for all their clients and really tried to portray this in the website content. The website itself is simple and easy to navigate, with plenty of call to actions. As always, we worked hard on keeping the website fast, with up-to-date SEO (Search Engine Optimisation). At time of launch it got great results from Google speed tests of 89/100 on a desktop & 73/100 on a mobile, and 99/100 for mobile user experience. Full tests on the website gave it 88/100 and 74/100, with most of the areas which lost marks being outside of the website design, eg. marketing, social media activity and website traffic. 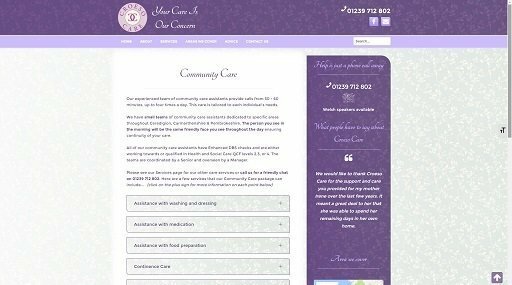 We’re very pleased with the final result and look forward to continuing website work with Croeso Care.